The perfect refoam kit for your speaker’s measurements might not exist. Often you must adapt an available foam to fit your needs. 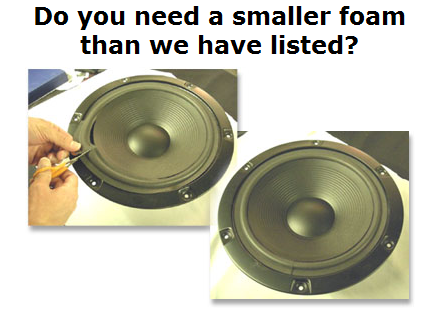 You can cut and seam a slightly larger foam to fit your smaller speaker requirements or slightly stretch a foam to fit a slightly larger need.